Courir des rues | One quality, the finest. Ever on the alert for all things French, this intrepid blogger tackled Manayunk, a trendy northwestern Philadelphia neighborhood. 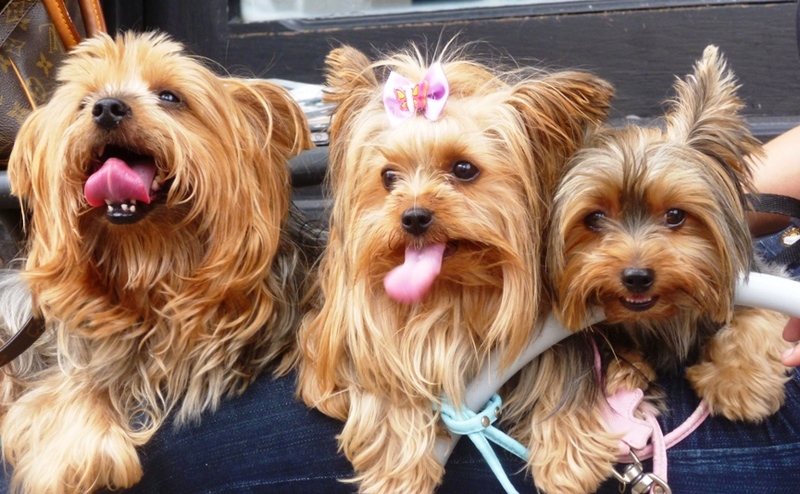 The first sighting was three incredibly cute Yorkies occupying a lap outside a café. Could Paris really be 3,700 miles away? 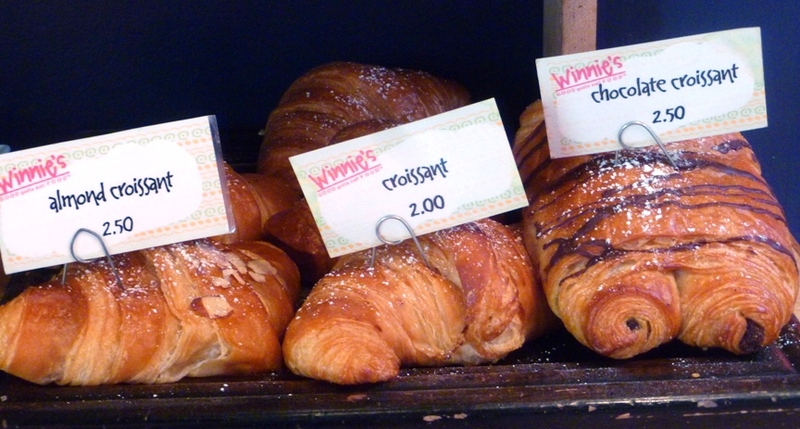 We had lunch at popular eatery Winnie’s Le Bus, 4266 Main Street, where it is possible to buy a decent croissant. Minor miracle. The décor is punctuated by huge paintings of flowers with the sun-soaked colors of the south of France. 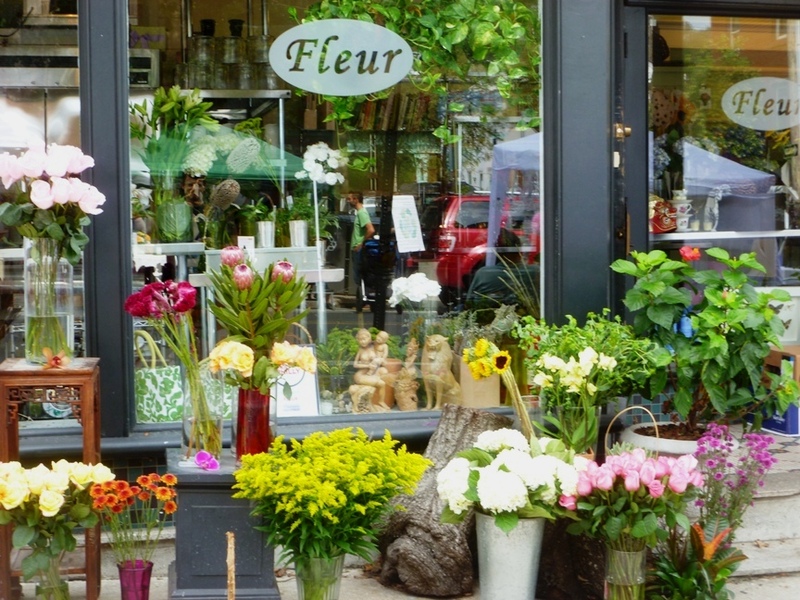 The floral display outside of Fleur, 4254 Main Street, was worthy of the Marché des Fleurs near Notre Dame. Digs, 4319 Main Street, is a store I’ll be back to visit. Half consignment, half new merchandise, all is curated by the discerning eye of ASID Interior Designer Patricia Gorman. Plush cushions, painted trays, and wire cache pots would all give my home a French accent. 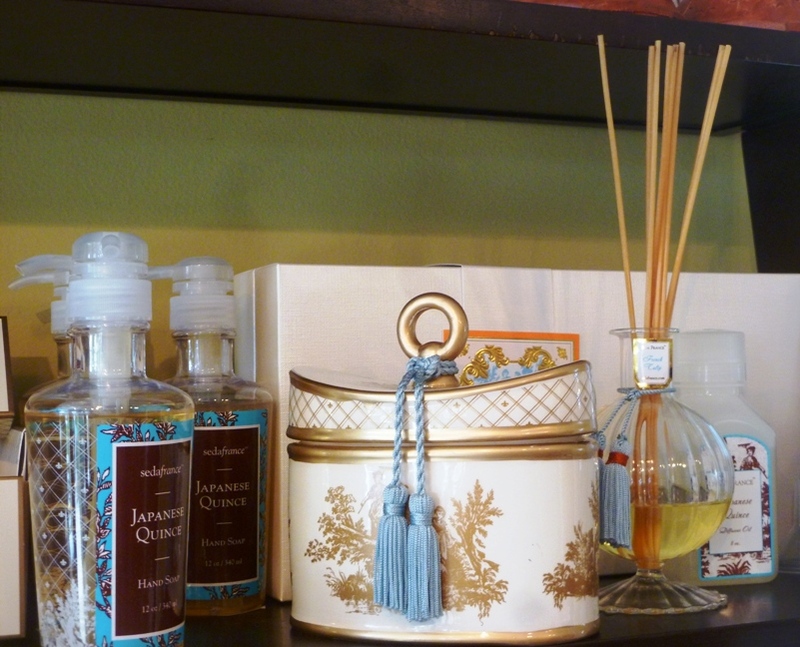 The shop smelled heavenly, scented by a Seda France diffuser in the “French Tulip” fragrance. Today’s expression, courir des rues (coo-rear day roo) literally means “to run the streets” but figuratively means “to be common knowledge” or “to be commonplace.” All my French finds were on the same street and shared a common thread of charm. By sharing their addresses with you, I hope they’ll also become common knowledge. This entry was posted in Décor, Flowers, Travel and tagged courir des rues, Digs, Fleur Flowers, Manayunk, Philadelphia, Winnie's Le Bus. Bookmark the permalink.